POWC #134 – No money, no problem! 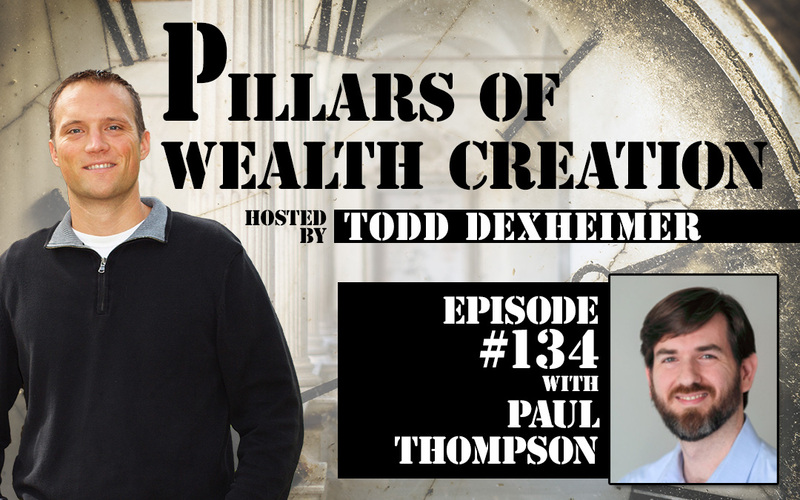 Paul Thompson teaches us how to be creative and buy using different techniques, including seller financing, using private money, subject to, private money, lease options and more. Paul gives us some sound advice, including learning how to do it yourself and then quickly delegating, invest in yourself, invest in you network and invest in assets. In 2015, Paul Thompson wanted out. His corporate office had become a suffocating cell. Paul decided to start buying rental houses, build passive income and break the chains of Corporate America. He was so successful, he secured 20 deals in his first 18 months of investing. Since that time he has acquired more than 2 dozen rentals without bank financing. Now he teaches others how to raise money from regular people that have some funds to invest.